Represent your personal brand, so you want to look your best. Poor quality photos, bad angles and photos that just don’t say enough about your abilities and services are a poor representation of who you are. Aerial photography gives viewers a birds-eye view of not just the property, but of the surrounding suburbs. It is ideal for showing key selling features like distance from beach, distance from shops, distance from restaurants and cafes. Drones can capture unique viewpoints of other key selling features such as pools, sheds, extra garages, water tanks and even landscaped gardens. 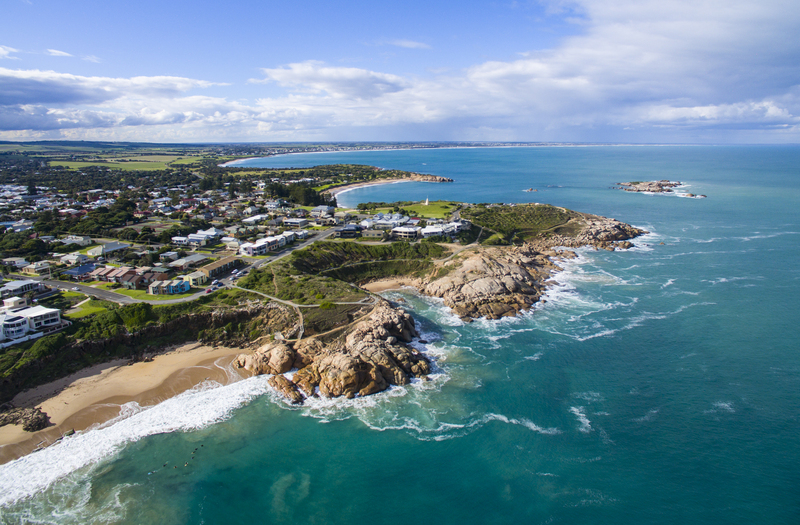 Areas such as Victor Harbor, Middleton, Port Elliot or Goolwa, showing proximity to beach is, is a huge selling point in your marketing campaign. Buyers or renters like to know if the beach is in walking distance or not. For large rural properties, using aerial photography will give a better representation of the land and where the home sits on the land. It will also show location of water tanks, dams, sheds, cattle areas, access roads etc. Get Clicked! Real Estate Photography is partnered with local video and aerial photographer Jesse Ehlers of South Coast Aerial Images. Jesse, a fully licensed, insured and experienced professional drone photographer, can provide you with magazine-quality aerial stills that showcase real estate listings, commercial businesses, large rural and coastal properties. Aerial photography gives the ultimate wow-factor, which is not only easy to upload to your MLS but are also visually appealing. South Coast Aerial Images is a family owned and run business found on the Fleurieu Peninsula and works professionally with local real estate agents, builders, architects and commercial businesses.